You can watch it also here in GR and here in RO. 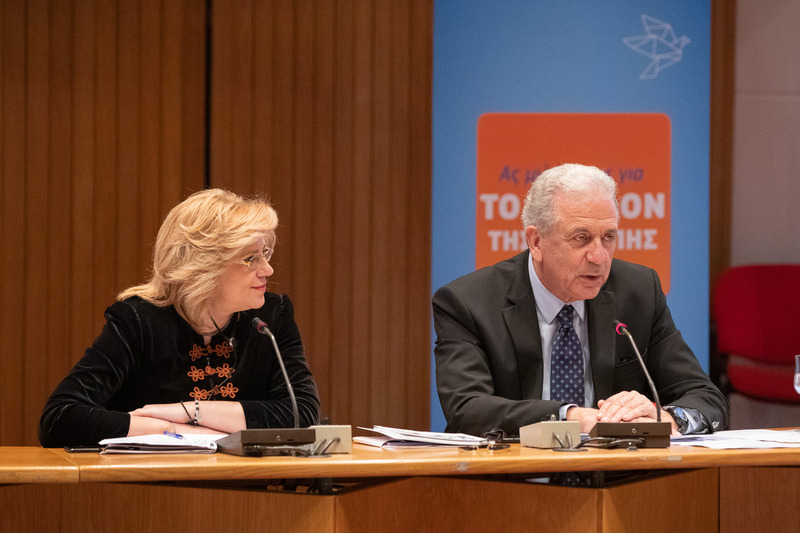 On Sunday, 17 February 2019, approximately 80 participants held a vibrant two-hour Citizens’ Dialogue in Ancient Olympia, with the European Commissioners for Regional Policy, Corina Creṭu, and for Migration, Home Affairs and Citizenship, Dimitris Avramopoulos. A mixed group of participants voiced their opinions, questions and concerns. When asked via sli.do what Europe meant to them in a single word, the most common answer given by participants was “solidarity”. The Dialogue touched upon many different subjects. 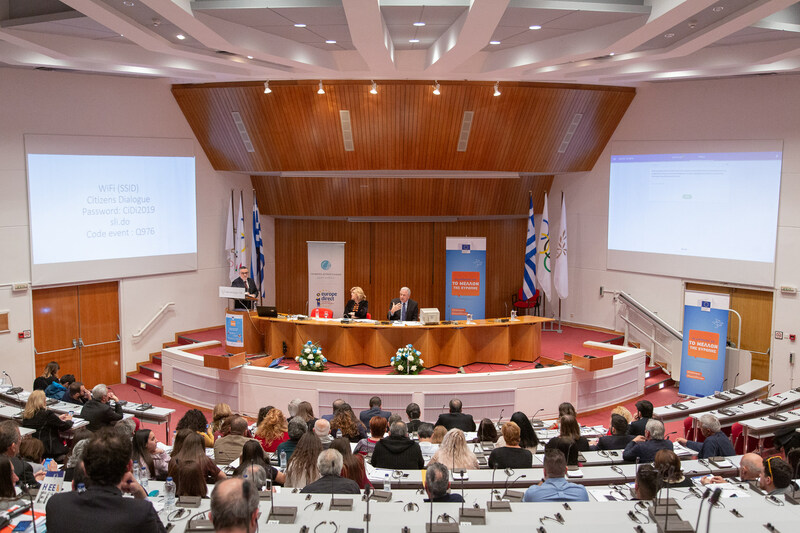 At the heart of the discussion was the role of young people in facing European challenges: migration and border security, protection against natural disasters, everyday problems of the entrepreneurs in Greece, the upcoming European elections, the rise of populism, education and the problem of brain drain in Greece. One participant voiced the concerns of entrepreneurs in regards to the high taxes they have to pay, including TVA and property taxes. “The tax burden is unbearable”, he said, explaining that entrepreneurs do not have incentives to recruit people and, in some cases, due to the high taxation, they cannot meet their tax obligations and therefore cannot benefit from EU subsidies. Turning to the European elections, a participant asked what voting for Europe really meant to the common citizen. “Responsibility comes from knowledge. Why should I vote for someone whom I do not know and I do not see? What does the European Parliament mean for my daily life?” she said. On the matter of migration, one participant asked why migrants could not enter the labour market immediately upon their registration in an EU country, given the demographic problems the EU is currently facing. “To what extent are we damaging the European economy by increasing the black market?” he added. Another participant pointed out that, despite the EU cohesion objectives of bridging the gaps among the various Member States at territorial, economic and social levels, “the gap is deepening”. “What are the measures being taken by the EU to address today’s inequalities?” she said. Finally, participants touched upon some of the problems the various regions are suffering, including recent forest fires and decreasing population. “The measures implemented in Ilia have not borne fruit. Is it likely that there will be an EU programme specifically aimed at the Ilia region?” asked one participant.